There are two seats up for election this year. MUTUAL WATER COMPANY on or before May 21, 2018 at 7pm. The annual meeting of the members will be held on June 30th, 2018 at 10am, location to be determined. In February 2016, Mr. Trevor Brown was appointed as the new Manager of the Company. Trevor started his employment with the Company in 2006 and currently holds certifications as: Grade 2 Treatment Operator, Grade 3 Distribution Operator, and as a Cross Connection Specialist. In 2015 he also received certification in Utility Management. Trevor was appointed to this position as part of the transition plan that began in October 2014 due to the scheduled retirement of the Company’s long time manager, Flip Boerman. As the water company indicated in early 2015, the planned sale of water to Rough Acres Water Company was cancelled due to the decision of Soitec to not pursue their solar project. In February 2016, Rough Acres also notified PVMWC of their decision to cancel the mutual aid agreement with Pine Valley due to changing water needs. At our annual Members meeting and again at the Board Meeting on August 4th, the Company warned those present of the States utilization of Governor Brown’s drought declaration to impose laws that could require our customers to pay a tax based on your water bill or usage. 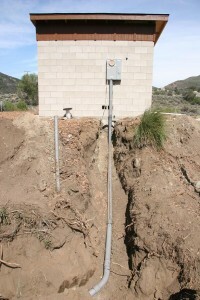 Over the past two years the Company has sold water for Cal-Trans, USFS, and County of San Diego construction projects. Because each one of these projects related directly to public safety the Company felt it was in the best interest of its customers to take the opportunity to participate in these projects. As a result the Company also benefited in thousands of dollars of additional revenue that assisted in the stabilization of water rates. In addition, the Company has also sold water to neighboring water agencies with prior State approval. This has helped our neighbors while at the same time assisting the Company financially. These water sales are the direct result of the Company’s foresight to construct water production facilities that are capable of exceeding the use demands of its full time customers. The Company continues to seek the opportunity to supplement its income through these type of business ventures and appreciates the understanding its customers that these opportunities bring benefit to them the ratepayers. 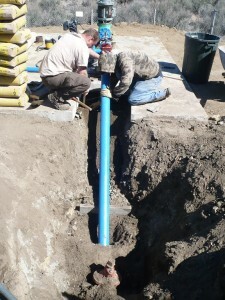 The Company recently completed improvement work for the water system that supplies the Pine Valley Rancheros Subdivision. 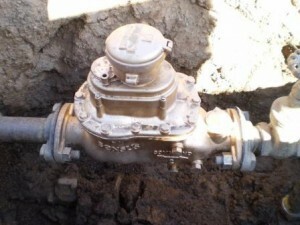 Phase 1 of the work included the replacement of curb stop control valves at each meter as well as customer gate valves and meters where needed. 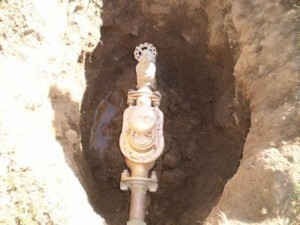 In addition each meter box was replaced and the 8″ main line valves on Rocky Pass were replaced. 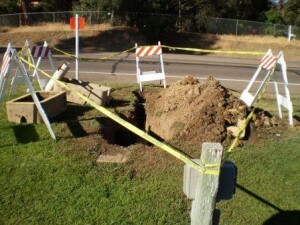 After the replacement work was completed, each meter box, valve cap, and hydrant was repainted. 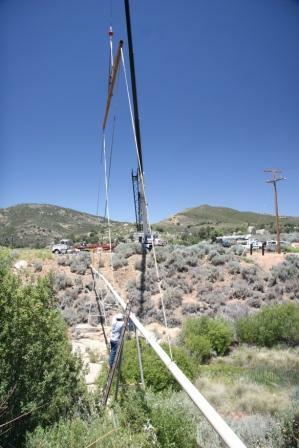 Phase II included the rebuild of the PVR pump station’s #2 pump motor. 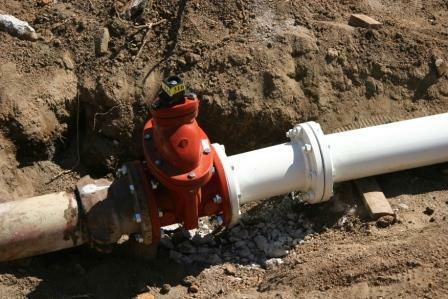 Phase II concluded with the refurbish of the underground pump station’s interior piping. Phase III addressed the draining, inspection, and minor repairs to the interior coating of the 1/2 million gallon thank that feeds the subdivisions. 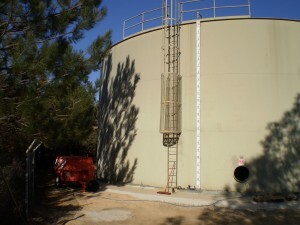 The project concluded with the cleaning, disinfection, refilling and return of the tank to full service. The work conducted for the 3 phases of this project was completely paid for with funds collected as part of the Repair and Replacement Charge that is collected through our bi-monthly billing. No debt was incurred as a result. We recently rebuilt #5 well house, It was originally a wooden structure. We have replaced it with a longer lasting block structure. Below are some pictures from this project. If you have any questions please feel free to call or e-mail. 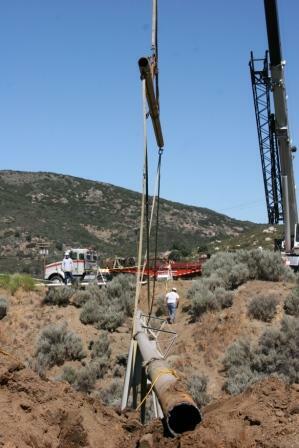 In January of 2010 Company personnel inspected the interior of the 1/2 million gallon tank off of Old Highway 80. 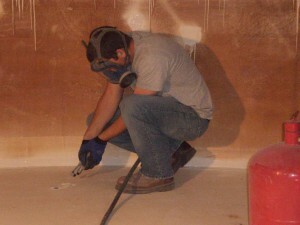 As a result, coating repairs were made through the use of spot sand blasting and epoxy patch coating. The Company strives to do as much work as possible in-house thereby reducing the cost to it’s customers. In addition to the coating repairs, there was also valve replacement work conducted at the tank. The tank was placed back in service in May. 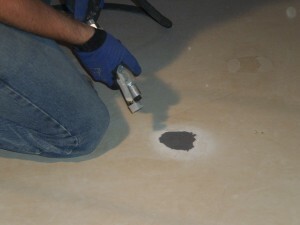 The Company schedules this type of inspection or maintenance on an annual basis to at least one of the Company’s four steel tanks. Pro-active and preventative maintenance allows the Company to keep it’s storage tanks in good condition thereby extending their expected life expectancy which saves the Company financially as well. 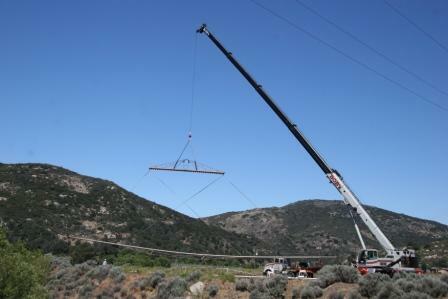 We recently replaced a 150′ section of 6″ steel pipe which spans Pine Creek Canyon. The original structure was constructed in 1960. The pipeline transfers water from three of our meadow wells to the rest of the Meadow Well Field and then on to our Distribution System. The new pipe has an internal epoxy coating to ensure its longevity and strength. Company personnel participated in the project, along with our contractor, Hidden Valley Pump Systems Inc., in an effort to keep the cost of the project as low as possible. 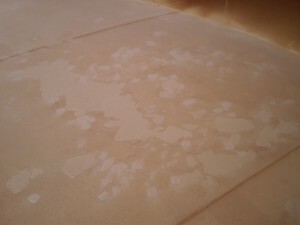 Below are some pictures of the job as it was in progress. As part of our ongoing upgrades, a commercial service line and meter was replaced at the Mountain Market shopping center. Replacement work was done at night as not to adversely affect the business operations of our customers. Error: Error validating access token: Session has expired on Sunday, 17-Mar-19 23:33:47 PDT. The current time is Wednesday, 24-Apr-19 17:23:37 PDT.